Here we are at last: the final review of the “Twelve Gifts of Christmas” series. 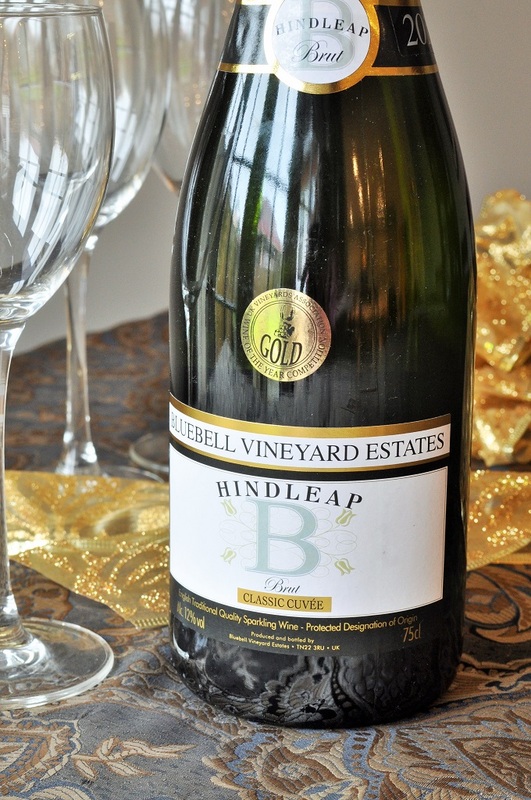 I kept the bottle of Bluebell Vineyard’s sparkling wine for the last day, as a way to toast off the Christmas festivities–and the arrival of dry January. Or low-fat or sugar-free or whatever particular culinary crime you are avoiding this month. I also finished off my last slice of The Carrot Cake Company’s Christmas cake today, which was my first feature on the series and which I have been steadily slicing away at over the twelve days of Christmas. It’s quite nice that it came out so evenly. Makes me feel that I’ve come properly full circle. I did not feel that this would be a case of saving the best for last, as I don’t like bubbly drinks (and especially not champagne). 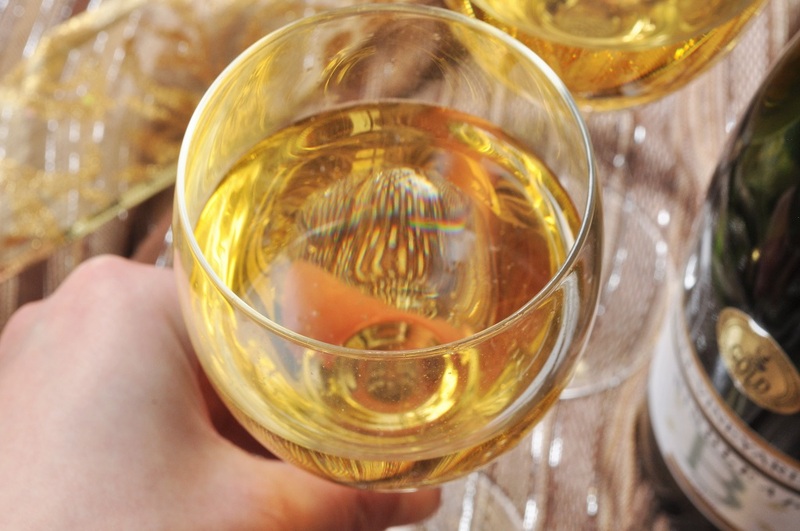 I do like white wine, but am notoriously picky about it. Dry, steely Rieslings with lots of citrus notes are pretty much the only wine that will tempt me enough to drink an entire glass. So I was looking forward to the Bluebell classic cuvee in a purely symbolic sense of the word. But I actually liked it very much! My bottle was the 2010 vintage, which won a UK Vineyard Association gold medal. It was such a pleasant surprise (and the most gorgeous deep gold colour–very fitting for a gold-medal winner). 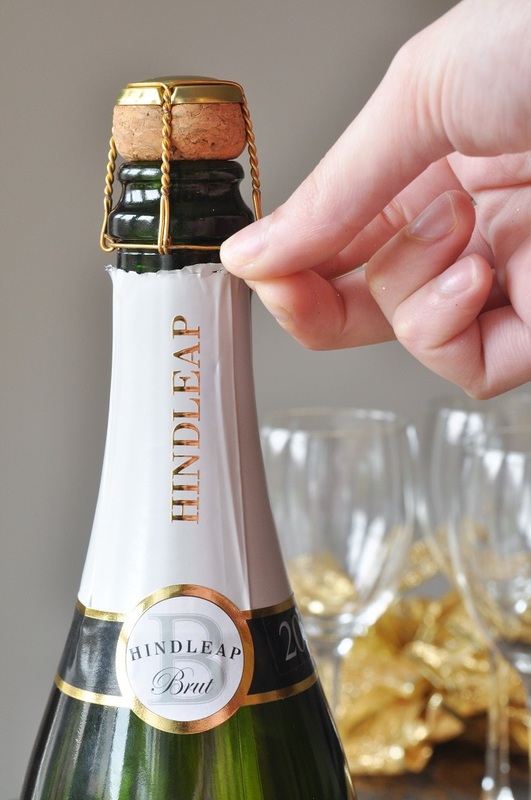 The winemaker, Kevin Sutherland, says: “We are looking to make fruit-driven sparkling wines, not the more yeasty taste of a champagne.” This may be why I preferred it. You can read Rosemary and Pork Belly’s full feature on Bluebell Vineyard here. 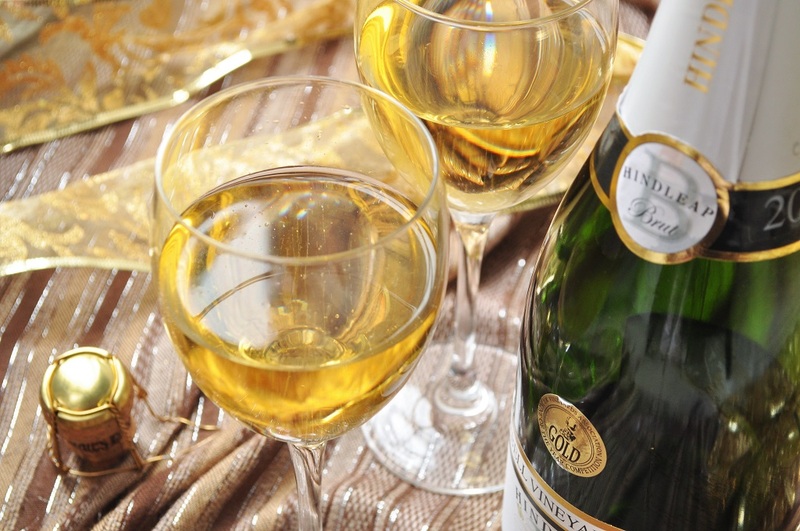 Whatever the reason is, I heartily recommend the wine–come February, that is. 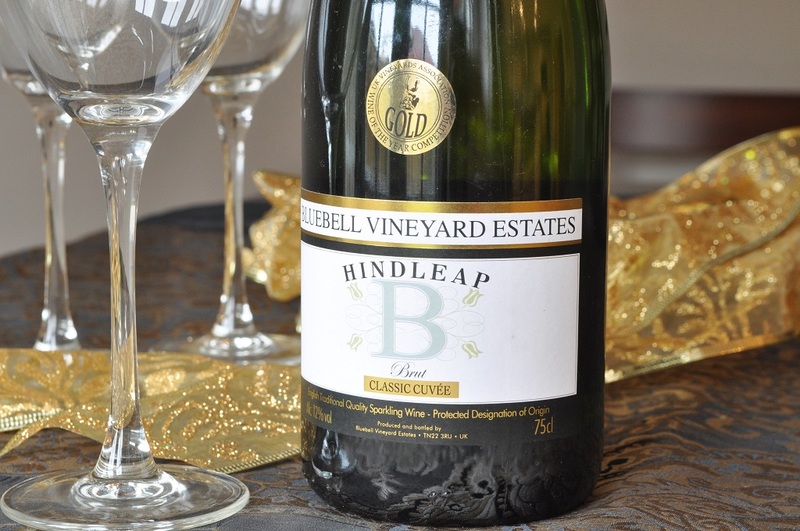 You can see the full range of Bluebell Vineyard’s wines here.